Welcome to the new project in collaboration with Barents Secretariat for young entrepreneurs, that we want you to be informed of and highly encourage you share in your network, since we are currently looking for applicants and the deadline for submitting of applications is approaching oh so very soon. See the message below and invitation attached for more info. We believe that this project will be especially beneficial to young business owners with no or little education in the fields of business and entrepreneurship and who are willing to grow their businesses in the markets of Finland, Sweden, Norway and Russia. Contact Maria Melnikova for more details or if you have any questions! 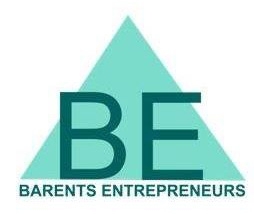 BEntrepreneurs aims to empower young business leaders in the Barents region by providing access to investors, training and cross-border networking. The program offers mentorship tailored to help you overcome the challenges in your business. National meet-ups to network, discuss, and share ideas with peers from your country. Main and optional events where we gather participants from all of the Barents countries for the purpose of training and networking. Each main event has a specific theme such as, investor pitching, innovation techniques, branding and social media etc. Fill out the application form at https://goo.gl/forms/JX2iFiTMQCubZ14U2 and we will get back to you. Young entrepreneurs or business leaders, 18-36 years of age. Must currently reside in the Barents region. When is the start of the program? The program starts in November 2016 and finishes in autumn 2017. Applications start in September 2016. Deadline for the Finnish applicants is Mon, October 10th 2016 by 16:00. You will need to dedicate time to actively participate in the project activities for one year. No, there is no fee to participate in the program. Furthermore, the program strives to cover all travel, food and accommodation costs.